A denture is a removable replacement for missing teeth and nearby tissues. It is made of acrylic resin, sometimes in combo with various metals. Complete dentures replace all the teeth, while a partial denture completes the spaces created by missing teeth and prevents other teeth from changing position. Prospects for full dentures have exhausted most or all of their teeth. A partial denture is appropriate for those who have some natural teeth remaining. A denture improves chewing capacity and speech, and delivers support for facial muscles. It will significantly enhance the facial look and smile. Complete or full dentures are crafted when all of your natural teeth are missing. You might have a full denture on your upper or lower jaw, or both. Complete dentures are called “conventional” or “immediate” depending on when they are made and when they are inserted into the mouth. Immediate dentures are placed promptly after the removal of the remaining teeth. To make this achievable, the dentist makes measurements and makes the models of the patient’ s jaws during a preliminary visit. An advantage of immediate dentures is that the wearer does not have to be without teeth during the recovery cycle. Unfortunately, bones and gums can diminish with time, most notably during the duration of healing in the first six months following the extraction of teeth. When gums shrink, immediate dentures may necessitate rebasing or relining to fit correctly. A regular denture can then be made once the tissues have improved. Healing may take a minimum of 6-8 weeks. Partial dentures are commonly a choice when multiple teeth are missing. Removable partial dentures generally comprise of substitute teeth attached to pink or gum-colored plastic bases, which are linked up by metal structure. Extractible partial dentures connect to your natural teeth with metal clasps or instruments called precision attachments. Precision attachments are typically more esthetic than metal clasps and are close to clear. Crowns on your natural teeth may enhance the fit of a detachable partial denture and they are generally required with attachments. Partials with precision attachments generally cost greater than those with metal clasps. The denture procedure takes about one month and five appointments: the preliminary diagnosis is made; a mold and a wax bite are produced to determine vertical dimensions and correct jaw placement; a “try-in” is placed to guarantee proper color, shape and fit; and the patient’ s final denture is placed, following any modest adjustments. First, an impression of your jaw is created using specific materials. Also, measurements are made to show how your jaws connect with one another and the amount of space is between them (bite relationship). The color or shade of your normal teeth will also be established. The impression, bite and shade are given to the dental laboratory so a denture can be custom-made for your mouth. The dental laboratory makes a mold or model of your jaw, positions the teeth in a wax base, and etches the wax to the specific form wanted in the final denture Routinely a “wax try-in” of the denture will be conducted at the dentist’ s office so any realignments can be done before the denture is completed. The denture is finalized at the dental workshop using the “lost wax” approach. A mold of the wax-up denture is developed, the wax is extracted and the lingering space is stuffed with pink plastic in dough form. The mold is then heated up to solidify the plastic. The denture is then buffed and set for wear. Getting used to your denture. For the first handful of weeks, a new denture may feel difficult or cumbersome. However, your mouth will inevitably become familiar with donning it. Inserting and taking out the denture will require some practice. Your denture should readily fit into place. Never drive the partial denture into position by biting down. This could bend or break the clasps. In the beginning, you may be requested to wear your denture constantly. Although this may be temporarily annoying, it is the quickest way to recognize those denture components that may need realignment. If the denture adds too much pressure on a specific area, that spot will become achy. Your denture can be adjusted to fit more pleasantly. After making modifications, you may need to take the denture out of your mouth before going to sleep and replace it in the morning. Begin by eating supple foods that are divided into little portions. Chew on both sides of the mouth to keep even pressure on the denture. Stay away from sticky or hard foods, including gum. It’s most ideal to stand over a folded towel or a sink of water when gripping your denture, just in the event that you inadvertently drop it. Clean the denture (preferably with a denture brush) daily to extract food deposits and plaque, and keep it from becoming permanently discolored. Avoid using a brush with hard bristles, which can harm the denture. Look out for denture cleansers with the American Dental Association (ADA) Seal of Acceptance. Pay special attention to cleansing teeth that fit under the denture’s metal clasps. Plaque that becomes entraped under the clasps will increase the risk of cavities. Hand soap or gentle dishwashing liquid to clean dentures is also acceptable. Other types of home cleaners and many toothpastes are too abrasive and should not be used for cleansing dentures. A denture could lose its appropriate shape if it is not kept wet. At night, the denture should be placed in soaking solution or water. However, if the appliance has metal attachments, they could be tarnished if placed in soaking solution. Even with full dentures, you still need to take good care of your mouth. Every morning, brush your gums, tongue and palate with a soft-bristled toothbrush before you drop in your dentures. This clears away plaque and promotes circulation in the mouth. Picking a balanced diet for proper nutrition is also important for preserving a healthy mouth. Over time, correcting the denture may be required. 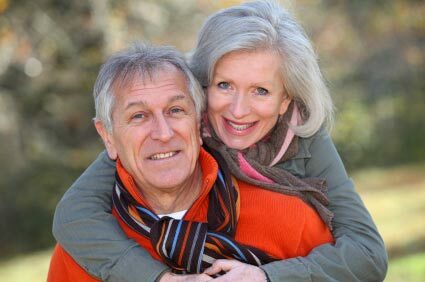 As you age, your mouth naturally changes, which can influence the fit of the denture. Your bone and gum ridges can retreat or shrink, leading to a loose-fitting denture. Loose dentures can cause different problems, including sores or infections. Dentures that do not fit correctly can be corrected. Avoid using a homemade kit to rectify your dentures, as this can damage the appliance beyond repair. Glues sold over the counter often contain hazardous chemicals and should not be used on a denture. If your denture no longer fits effectively, if it cracks, cracks or chips, or if one of the teeth becomes loose, see your dentist immediately. In a lot of cases, dentists can make needed adjustments or repairs, often on the same day. Difficult repairs may require that the denture be sent off to a special dental laboratory. With time, dentures will have to be realigned, re-based, or re-made due to typical wear. To reline or re-base a denture, the dentist uses the existing denture teeth and refits the denture base or makes a new denture base. Dentures may need to be replaced if they become loose and the teeth show signs of considerable wear. Eating will take a little practice. Start with soft foods cut into small pieces. Chew slowly using both sides of your mouth concurrently to prevent the dentures from tipping. As you become accustomed to chewing, add other foods until you return to your normal diet. Continue to chew food using both sides of the mouth at the same time. Be careful with hot or hard foods and sharp-edged bones or shells. Some people stress over how dentures will affect their speech. Consider how your speech is affected when you have a number of your natural teeth missing. Pronouncing particular words may require practice. Reading out loud and repeating troublesome words will help. If your dentures “click” while you ‘re talking, speak more slowly. You may find that your dentures occasionally shift when you laugh, cough or smile. Shift the dentures by gently biting down and swallowing. If a speaking problem persists, consult your dentist. Denture glues can provide added holding for well-fitting dentures. Denture adhesives are not the solution for old, uncomfortable dentures. A badly fitting denture, which causes consistent irritation over an extended period, may contribute to the development of sores. These dentures may need a reline or need to be replaced. If your dentures begin to feel loose, or cause pronounced discomfort, talk to your dentist immediately.